Since 1971, Frog Hollow Vermont State Craft Center has supported and celebrated individual design and craftsmanship through the exhibition and sale of fine traditional and contemporary Vermont craft. Over the course of 40 years, five hundred juried artisans, who live and work in communities throughout Vermont, have been making craft by hand with loving care and attention to detail. Frog Hollow is the first state craft center in the United States and the organization has served as a model for countless others across the country. 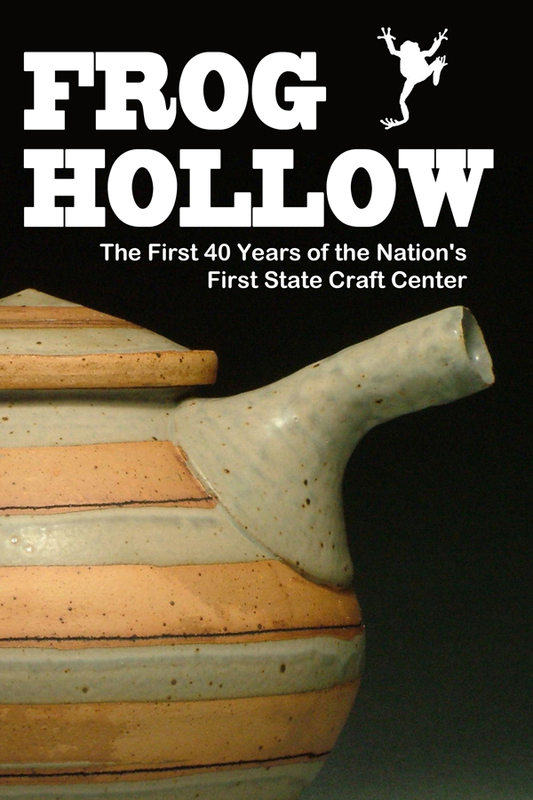 Frog Hollow: The First 40 Years of the Nation’s First State Craft Center published by Kasini House Books contains countless images, a forward by Senator Patrick Leahy, a history by Rachel Esch, and first-person recollections by seventeen craftspeople and almost every organization director since Frog Hollow’s founding. Frog Hollow: The First 40 Years of the Nation’s First State Craft Center surveys the history of this pioneering organization and examines how a group of people came together to build and nurture Frog Hollow over the last 40 years. It documents the impact of the creative economy on Vermont and its small, rural communities. The book provides a snapshot of the influence of the Back to the Land Movement on Vermont and how Frog Hollow is part of its legacy. Frog Hollow: The First 40 Years of the Nation’s First State Craft Center tells the story of how a disparate group of artisans, with the support of Coca-Cola heir Allen Johnson, came together in the spirit of community. The influence of craft and the role craftmakers play in Vermont is highlighted through biography, recollection and images, including Danforth Pewter, Peter Miller, Elfriede Abbe, Sabra Field, and Woody Jackson. Through first person accounts and an early history written by Rachel Esch, the book follows the rise of Frog Hollow through the 70s, 80s and 90s; its struggles in the first decade of this century; and its continuing path today.